Usually, medical schools seek to enrol empathetic, bright and communicative students. This means grades and other scores might be less considered while selecting students. These schools pay close attention to personal statements from the applicants. So, the personal statement provides an opportunity for enthusiastic students to explain a medical school about themselves and their main objective to pursue a medical degree. For a student like you who understood the importance of personal statement, the most daunting question during the application time might be how to write a personal statement for medical school. For many prospective students writing personal statement for medical school admission poses a challenge. However, it should be an easy exercise if you get the right guidelines, which can help you to write a captivating and unique content that can guarantee you a place in a medical school of your interest. Below are some of the basic steps that can help you in developing a desirable personal statement for medical school. The reason(s) should be specific, distinct and reflective of your personal drive towards the profession. The evaluators look for inimitable attributes in your personal application, as different students have different passion towards medical practice. It should be an internal drive rather than an event, experience or situation-based urge. The motivating drive to the profession should be clearly outlined, as it can give you a competitive edge over the rest of the applicants. In your personal statement for Medical school the motivating drive to the profession should be clearly outlined, as it can give you a competitive edge over the rest of the applicants. Medical profession involves extensive learning; therefore, you must outline how you will cope with the challenging environment. It is advisable to demonstrate your background understanding about the profession and precisely outline your strategy to tackle the issues that may arise during the medical studies. You should consider setting pragmatic goals and subsequent rational approaches to achieving those objectives. It is important that you demonstrate evidence-based proposals when describing your professional goals. This can be your most memorable encounter and positive experience that you have had with experts or mentors in the medical profession. It can be a doctor or instructor whom you have observed in the past and inspired you to pursue the profession. Your essay should demonstrate your knowledge of recommended practices that you have learnt from him/her. You should also mention how the experiences can contribute to the success of the program if you were given a chance. Thus, evaluators can understand your potential ambitions. Certainly, the judgements are likely to be made based on the alignment of your expectation to the medical school’s vision and values. Therefore, you should write a critical analysis of your expectations and possible contributions towards improving the processes used in the profession. Your essay should outline how your expectations can be brought to reality. Additionally, your professional ambition picture should be clearly drafted in the essay such that someone can imagine a different you after the end of the medical course. Describe a realistic strategy that will help you realize the objectives in detail. It should be a step-by-step roadmap; appreciate the challenges and opportunities that you are likely to face. Link these issues to your expectations or ambitions regarding the program. The organization of your ideas should demonstrate a clear sense of chronology. You must ensure that the ideas are logical and well clarified so that your essay would not confuse the reader. Most certainly, the readers will be captivated by the way you have structured your statement. Furthermore, your essay should be interesting and engaging. Avoid using complicated vocabulary; rather, use your own voice and language that brings out uniqueness in your work. It is advisable to get objective feedback on the personal statement essay you wrote. Request a professor, friend or someone, whose literary abilities you trust, to give his or her opinion on the tone and flow of your essay. It is good to observe if the reader is bored or captivated immediately they start reading your essay. 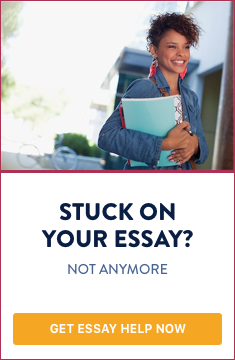 This will help you to make improvements or change strategy of writing your essay and give you an opportunity to develop a captivating piece of work. Finally, you should consider all the suggested points and plan in advance to provide sufficient time to review and rewrite, and submit a highly competitive personal statement before the deadline. Do you need help with writing a personal statement for medical school?